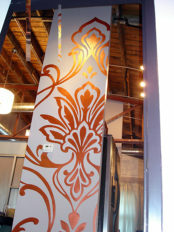 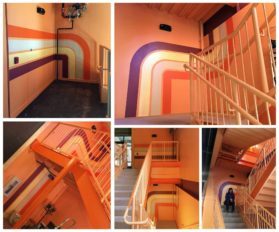 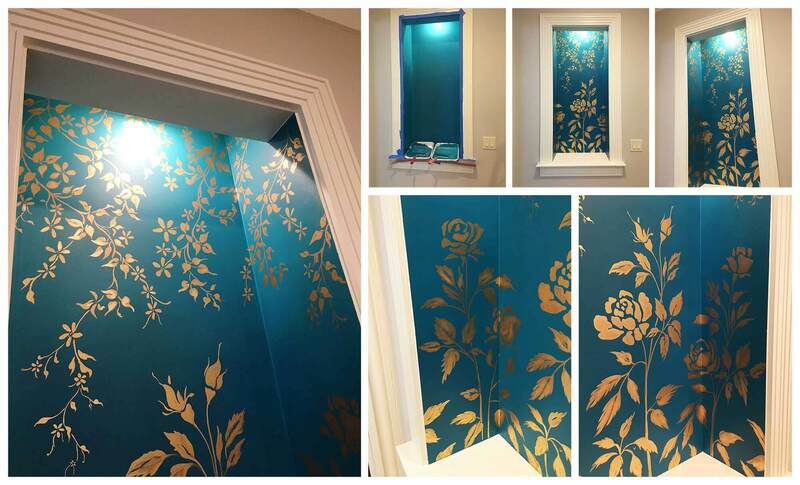 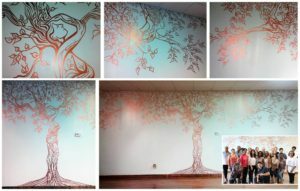 Megan paints line art murals for residential and commercial locations. 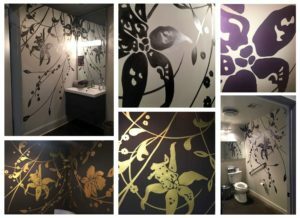 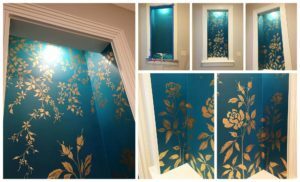 She often uses metallic paints, like copper, gold, and silver, to create interesting mural compositions that reflect light and show depth at the same time. Here you see a metallic copper damask motif from a law firm loft office, a metallic gold floral motif in a niche in a home, and a copper tree of life with dancers for a dance studio, as well as metallic smoke, gold, and purple floral motifs in multiple hair and makeup salons. 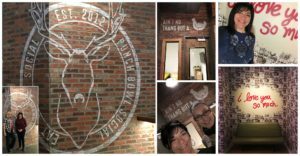 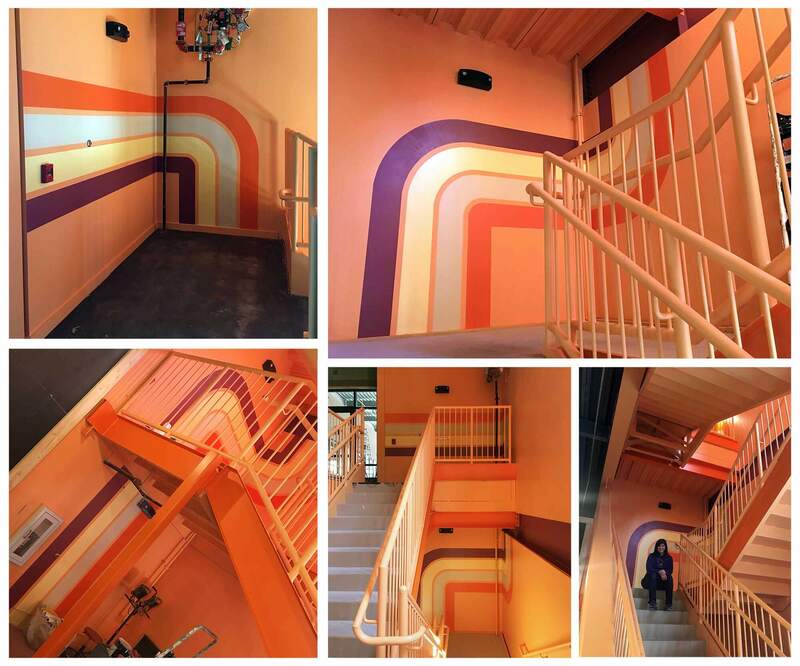 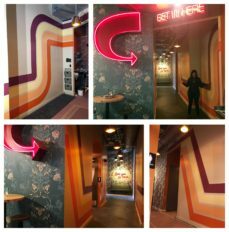 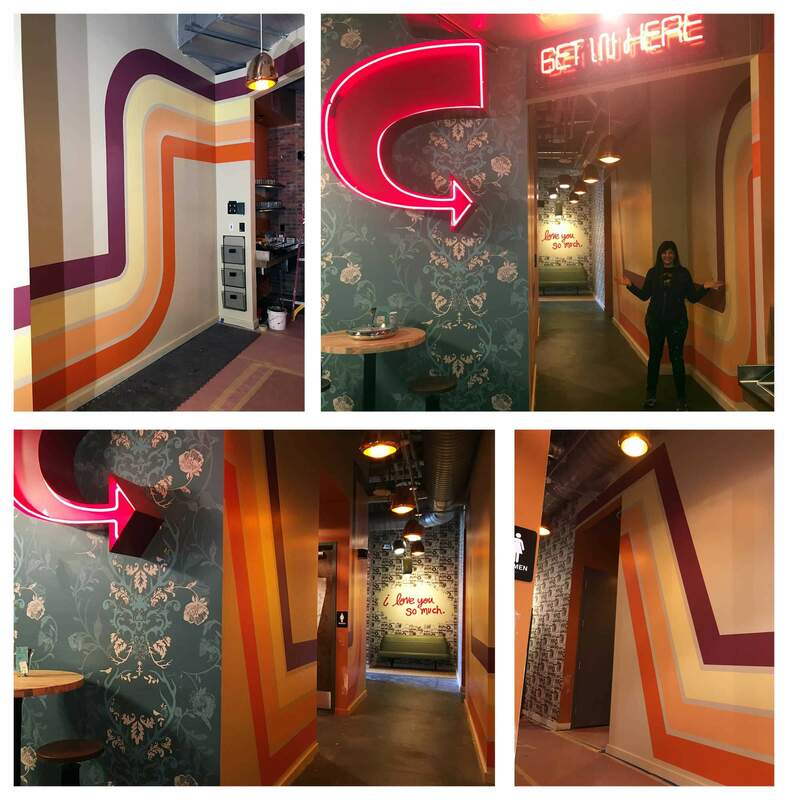 Megan has also painted ghost graphics like those shown here in a corporate stamp for Punch Bowl Social, a restaurant and entertainment franchise, as well as retro 70’s-inspired line art in a large hallway and three- story stairwell.